Yesterday I saw an advertisement on TV from a popular Home Depot store. 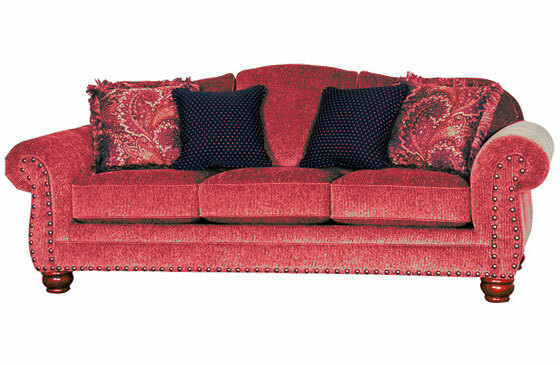 One of the products that were advertised was this six-feet-long sofa going for a whopping $1,500. I had to rub my eyes and have a second look. And no, the price didn’t magically change! Upholstery can be very costly. It’s even more pocket-wrecking if you have to hire professional cleaners to keep them looking and smelling fresh. However, they never fail to add elegance and beauty to your home. It’s true that hiring professional cleaners can attract a high cost, but it’s worth it for the extra value that you’re getting. However, if you decide to put yourself to the test and conduct your own cleaning, I have you covered! Vacuum, vacuum, vacuum. I just cannot stress how important it is to vacuum your upholstery. Keep in mind that spots and stains will torture your upholstery, one way or the other. Because of this, it’s important that you vacuum prior to cleaning your upholstery. Dust and dirt may be hiding in the fibers, so you need to get them out as soon as possible. Furthermore, if your upholstery should get wet while there’s dirt inside the fibers, the outcome will be very unpleasant. Stains that have been sitting on your upholstery may ultimately sink themselves into your upholstery, especially if it’s old. If your upholstery should become stained for a long period, the stain may become permanent and hard to get rid of. Consequently, you should immediately treat spills or stains as they occur. Rubbing the area is not recommended!Failing to adhere to this caution may have your couch looking like a dog soaked in the rain. In addition, you should only blot the area where the spill occurred. This will help to prevent the stain from spreading. Following the blotting of the spill, create a mixture of soap and water for general cleaning. Firstly, wipe the area with soapy water and a microfiber cloth. Let it soak in. This will help to eliminate debris and dirt. Use a small quantity of water to prevent saturation. Rinse with cool, fresh clean water. Allow the upholstery to dry outside, if possible. For some persons, buying upholstery is like buying a house or a car. (I may have over exaggerated, but you get the gist) Upholstery can evolve your home with amazing designs and sophistication. However, cleaning them is necessary for the preservation of their overall condition.